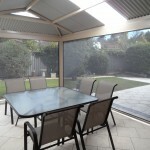 Our range of outdoor blinds will protect you and your family from the harsh Australian weather. 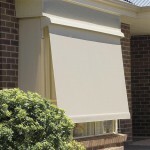 During the hot, dry summer, these blinds eliminate over 95% of UV rays, resulting in a much cooler outdoor area. All the security doors are supplied with three security hinges as standard fitments, plus the locking mechanism used is specifically designed for security doors, and called a triple lock system. Customer satisfaction is of paramount importance to us, and we achieve that by offering quality outdoor awnings, window awnings and retractable awnings at affordable prices, delivered on time and professionally installed. 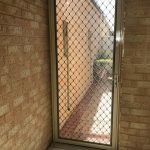 Welcome to Action Awnings, a family owned business based in Perth, WA, offering one-stop outdoor blinds Perth and awning solutions to combat the harsh sun, the windy climate, and the cold wet winters that are experienced in WA. 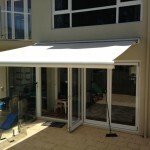 Action Awnings will supply custom made solutions unique for your home, to enable you to enjoy your al fresco entertainment areas all year round, as well as supply window coverings to help keep your home cool and protect your furnishings from the harmful UV rays. 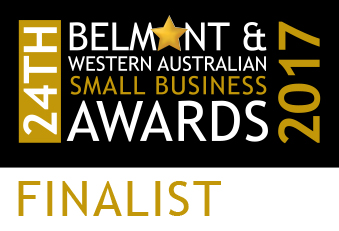 Our range of products caters to your needs; we are your leading source of shade blinds, outdoor blinds and awnings in Perth. At Action Awnings, we prioritise 100% customer satisfaction. 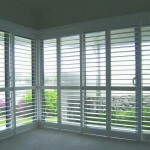 We offer our customers only the best shutters in Perth, WA, available at affordable prices. We take pride in our flexibility to suit all of our clients’ requests, making sure you get the best deals.